Welcome to the premier gardening event in Jackson County that signals the beginning of the summer gardening season in the Rogue Valley. 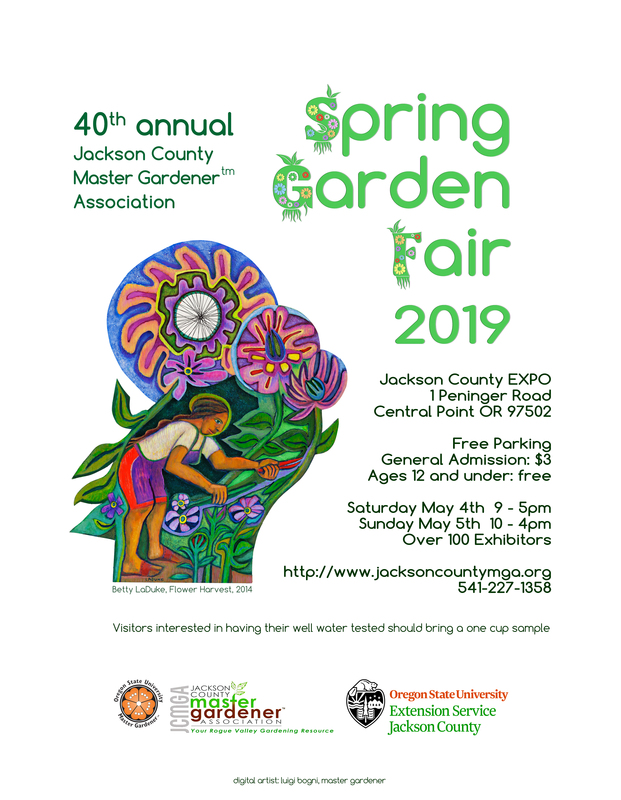 For 40 years The Jackson County Master Gardener™ Association has been proud to sponsor the annual Spring Garden Fair, held the first weekend in May at the Jackson County Expo. Click here to go to our Garden Related Links page. Ashland Post and Beam, Inc.